There's no doubt that 2014 was the year of the wearable, and with 2015 set to be even bigger, what better time than to look back over the year? With the Apple Watch, numerous Samsung offerings, and more types of wearable than you can shake a fitness band at, 2014 saw smartwatches and their ilk cross over into the mainstream. 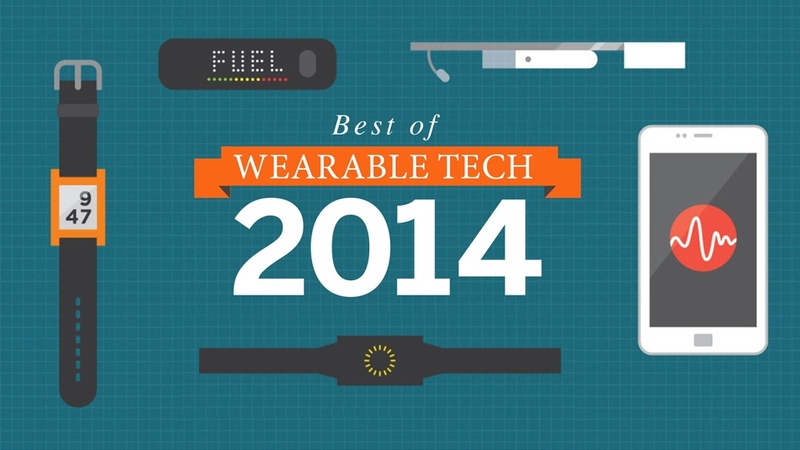 So join us for a review of 2014 and marvel at how far wearables have come in just 12 short months. The tech industry descended on Las Vegas for the annual CES conference, and wearable tech was at the forefront. Pebble showed off its metal-strapped Steel smartwatch, while MetaWatch announced it was taking a more traditional tack and drawing inspiration from classic timepieces. Sony, Intel and Garmin all outed smartbands, but the Razer Nabu was one of the show's more stylish offerings. ZTE announced its first smartwatch, while CSR's line of smart Bluetooth jewellery added a touch of class to an already crowded field. Anyone doubting wearable tech was the trend of the year was crushed under the wheels of the wearables juggernaut. It was a very good start to the year for owners of the Pebble. Not only did the Steel debut at CES, in February the Pebble Appstore launched on iOS, with an Android version “coming soon". We heard the first whisperings of HTC's fabled wearable, though it was slated for release before the end of the year, which didn't happen. Samsung unveiled the Gear 2 and Gear 2 Neo, and the Gear Fit while it was at it. Not to be outdone, Tim Cook teased that Apple would launch “new product categories"this year, which we all took –correctly – to mean the Apple Watch. The big news this month was Android Wear, which Google unveiled along with the first two smartwatches running the OS: the Moto 360 and the LG G Watch. Details were scarce, but the idea of extending Android to wrist-worn devices had fitness fanatics star-jumping for joy. Still on the fitness front, Jawbone announced its UP24 fitness band, while LG launched the Lifeband Touch. Huawei confirmed it would launch more wearables, while Acer also said it would jump on the bandwagon. The prices of the Samsung Gear 2 and Gear Fit leaked as well, but they were higher than most people would've liked. Fitness don't come cheap. All eyes turned to Nike in April, after it laid off part of its team responsible for the FuelBand. Internet chatter said the sports firm would work with Apple on the Cupertino company's forthcoming watch. Nike's CEO hinted it would be involved in some capacity. There was plenty of headgear-related wearables news too: Samsung's Galaxy Glass – thought to be its answer to Google Glass – leaked via a patent filing, while news reached us that Glass itself was being tested by the US Air Force for use in the battlefield. We also heard the first rumours concerning Samsung's Gear S smartwatch, which would reportedly work without a smartphone connection. News broke that Microsoft was making a smartwatch, though it turned out to be a fitness band, and didn't launch until October. But Motorola wasn't impressed –one Moto exec claimed all other smartwatches were “crappy". All except for its then-unreleased Moto 360, that is. Talk of what was previously thought to be Samsung's Google Glass rival turned to an Oculus Rift-style headset, which eventually turned out to be the Gear VR, which was made in conjunction with Oculus VR. LG confirmed it was working on its own round-faced smartwatches, and that the devices would eventually control your TV. June was all about Google Glass. The hardware was updated just before being released in the UK, where it cost an eye-watering £1,000. A fashionable range was also launched with input by US fashionista Diane von Furstenberg. But Glass was banned in UK cinemas, no matter how fashionable it was. LG's G Watch got an official price, and at £159, it was a lot less than its Samsung rivals. Nike released an Android version of its FuelBand app, which was a bit strange seeing as it had recently discontinued the wearable. Makers of wearables were clicking their heels over the news that the market would be worth £1 billion by 2018. But not everyone agreed where the future lay, as Samsung and Google clashed over their differing approaches to smartwatches. Keen to cash in on the demise of the Nike FuelBand, Adidas launched its own fitness tracker, called the miCoach Fit Smart. Samsung announced it would target business bods with its wearable devices, but also went public with its Gear VR virtual reality headset, which is about as far from business as you can get. Naturally, the big wearable tech story of the month was the launch of Wareable, which quickly became the biggest (and of course the best) wearable tech website in the world. It was a good month for fashion fans, as HP, Withings, Guess and Cogito all unveiled very stylish smartwatches. Wearables were becoming so fashionable even Barack Obama got in on the act. As did this dog. The big boys outed their second-generation smartwatches: Samsung officially unveiled its Gear S, and LG drew back the curtain on the G Watch R.
Headphones got a leg up too, in the form of the Jabra Pulse and Intel's SMS Audio BioSport models. As if that wasn't enough, Android Wear was also shown off controlling a Tesla Model S. Eat your heart out, Bond. Apple dominated headlines with its Apple Watch, which, after years of rumours, was finally unveiled this month. To the joy of tech watchers everywhere, it was unveiled as a classic Apple "one more thing", and for many it was the watershed moment that wearables were propelled into the mainstream. Misfit, one of the leading lights in wearables, unveiled the Flash, a cheaper version of its Shine fitness tracker. Google Glass went on sale through Net-a-Porter, proving it had finally achieved mainstream acceptance, and Sony outed two more devices: the SmartWatch 3 and SmartBand Talk. But enough smartwatches, what about a smart earbud made by Motorola? Wearables were so successful even Andy Murray wants to get involved. And BlackBerry. The Moto 360 and Microsoft Band went on sale this month, and runners were in for a treat: Fitbit launched three new fitness trackers which fast became of the hottest devices, along with the new Jawbone UP3, which was also slated for a late 2014 launch, before it was beset by delays. Will.i.am also got in on the act by launching his own smartwatch, and then later announcing that it would be replaced by an updated model in 2015, after a series of negative reviews in the press. October's other announcements also showed the variety in wearables. The Lumo Lift helped you sit up straight, Toshiba outed its take on Google Glass, and the GOQii Life and Olive Band tried to change our lives for the better. It was the all-important holiday season, and manufacturers were keen to get their devices on the shop shelves. The Samsung Gear S, LG G Watch R, Withings Activité, Sony SmartWatch 3 and Acer Liquid Leap all hit the shops. So punters were spoiled for choice. The Microsoft Band also went back on sale, after suffering a bug. HP drew back the (velvet) curtain on the MB Chronowing, which is possible the nattiest smartwatch ever, while those who fancied themselves too hard for that namby-pamby nonsense could opt for the Timex Ironman One GPS+. Or the Gymwatch, for that matter. Christmas was coming and the wearables goose was getting fat. Sony pulled the wool over all our eyes and turned out to be behind the crowdfunded FES Watch, which has an e-paper screen. The scamps. The Apple Watch was predicted to sell 24 million units, while Fitbit teamed up with Weight Watchers to help us shed those post-Christmas pounds. Also on a New Year's resolution tip, a wearable was outed that could help you stop smoking. Misfit had its coffers lined by Xiaomi, the world's third biggest smartphone maker, while fans of downward dogs will lap up Prana, the wearable yoga teacher. Should help burn off some of the turkey.